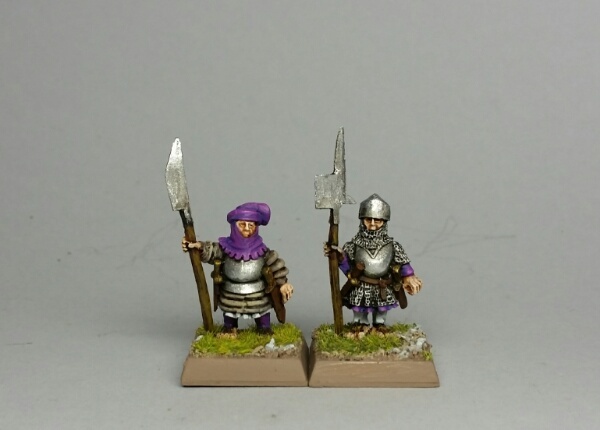 Trial painting on first two minis for the Boar Cleavers unit. Awesome paint job! I like the purple against the more muted tones. Good job. Can't wait to get mine in February. Splendid, great job on the armors! Love the way the armor turned out!